One touch zero gravity button is all you need to put your body to rest and relaxation. The Cozzia Dual Power ZG Recliner, comes in several colors (this one is Ivory) and is one of those recliners that are perfect for those who seek lumbar support. It is truly one of the best in the market, and it comes with all of the essential features you’d expect from a zero gravity chair, plus the recliner comes with superb seating comfort that keeps the total body in relaxation. 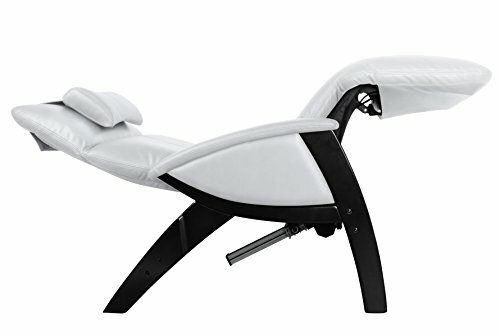 After a long day, when the body requires rest, all that one has to do is adjust the one-touch zero gravity button, and recline to a comfortable position to kick back and end the day right. Moreover, this ivory leather upholstery gives a chic appeal to the room too – as do many of the other color options. The Cozzia Dual Power ZG Recliner comes with a headrest and is able to hold up to 400 lbs comfortably. The heat therapy system and the vibration massage system allow the body to be soothed and promise a pure relaxation. One top feature of this recliner is that it gives zero gravity recline along with air cell massage, which is ideal for those who have a problem with breathing or blood circulation. Cozzia has taken care to provide you with a detachable pillow with the chair, alongside arm rests that assure luxury and relaxation to the optimum. WHO IS ZERO GRAVITY GUY? Hey! I am Max - a furniture salesman by day and blogger by night. I also love my zero gravity chairs as you'll see. My site will show you just how zero gravity recliners & chairs are designed to relieve the body of the pressures experienced in an upright position. I have reviewed (and will keep finding) all the best zero gravity chairs to best suit your individual needs. You can contact me with any questions or read more about me here.